Most of you have already listened about the self-driving technology in the big platforms like CES. But if I will tell you that it is going to be a reality in the near future. As you all know that the trucks are the ones that travel a countless number of km, every year. Some of the businessmen who are reading this article also send their business products from one city to other in trucks. There is no doubt that it is an essential thing for country businesses. But in some cases, it is also assumed that trucks are dangerous for other travelers or drivers. About 4 years ago, Daimler’s a parent company of Mercedes Benz issued a pretty big claim they told about the self-driving big rig they are working on. They also did a lot of experiments in the meantime by driving them to the highways and other tough places. It is the first vehicle to get a special autonomous license plate from the state of Nevada. The big news is coming in the upcoming CES show about the Self-driving truck. 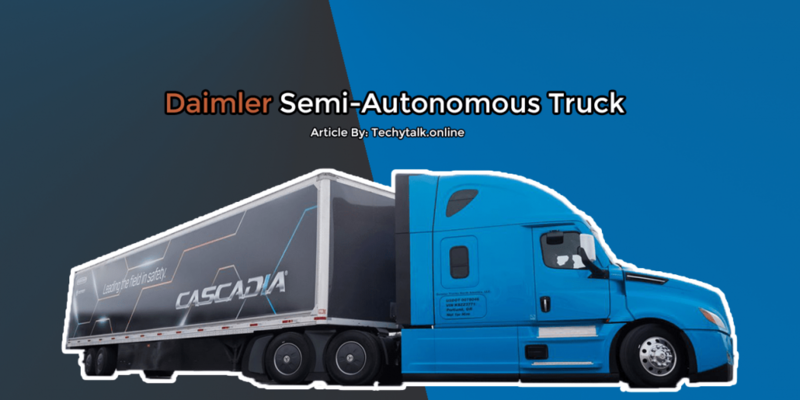 Over the last three years, Daimler has taken the technology and the ideas that were in that prototype truck and worked them into the latest version of the Freightliner Cascadia, one of the company’s most popular trucks. More importantly, Daimler says it’s ready to put the truck into production this summer and start delivering them to customers later this year. The truck has the ability to maintain its speed while any car or vehicle come in front of it. The truck has also the ability to keep themselves in the right lane.